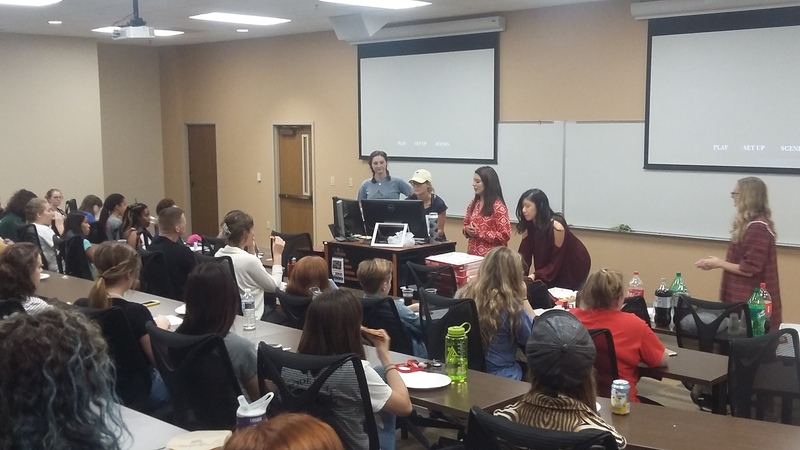 Belmont University’s newest science club, Women in Science (WIS), was recently introduced to campus by Crystal Lemus, neuroscience major, who has served as both president and founder of the club. The organizations officers include Maddy Clarke as vice president, Bailey Bergmann as secretary, Shaoyun Yang as treasurer and Claire Holden and Aditi Buch both serving as community outreach co-chairs. Dr. Danielle Garrett, chemistry, is the faculty advisor. Belmont’s WIS Club is dedicated to achieving equity and full participation of women in all STEM related fields. WIS aims to build both a sense of community and network field among females and foster love for the sciences through recognition in their achievements and contributions to the field. The group also seeks to educate women about their options in the field and encourage them to seek professional advancement. The officers have worked diligently to make this organization successful within the College of Science and Mathematics. Events for the semester include movie nights, female professor panels, spa days and more. The club’s first event was a viewing of “Hidden Figures” with a discussion led by Dr. Garrett. More than 60 students attended and participated in an engaging conversation regarding the characters’ challenges.